James Luna had a long and deep connection to Canada and he was a pivotal influence for many indigenous and settler artists, writers, thinkers and curators. His enormous legacy is evident—alive and well today in Toronto. We remember him as the Shameman who sold wetdreamcatchers. The angel with wings made of crutches and feathers in tribute to the many on his own reserve who had lost their legs to diabetes, a disease caused by a steady diet of colonialism. James Luna was the change that the art world needed. His conviction was that the art world could change, and that in turn could change the way people see. He was the change. 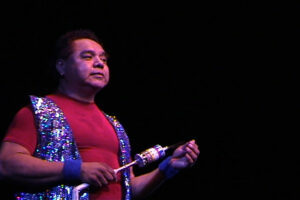 James Luna was born in Orange, California of Payómkawichum, Ipai and Mexican descent. When he was 25 he moved to the La Jolla Reservation where he continued to live and make work, while he taught art at the University of California, San Diego and was an academic counselor at Palomar College in San Marcos, California. 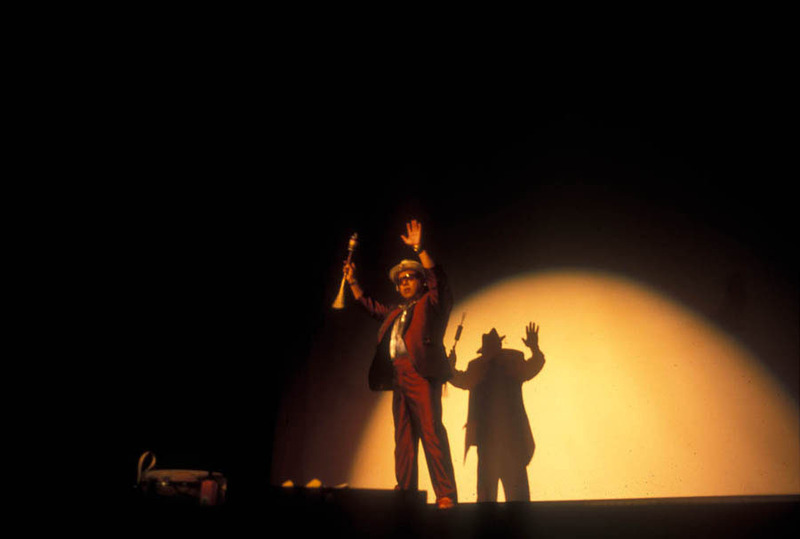 In 2000 James Luna performed American Indian Study’s (with its deliberately provocative misspelling) at the Joseph Workman Auditorium in the 3rd 7a*11d International Festival of Performance Art. He also gave an artist talk at Innis College that was co-sponsored by CIVME and A Space. He returned for the 8th 7a*11d Festival in 2010 with Guillermo Gomez-Peña in La Nostalgia Remix, presented by Red Sky Performance and Toronto Free Gallery.